The food we eat gives our bodies the "information" and materials they need to function properly. If we don't get the right information, our metabolic processes suffer and our health declines. In short, what we eat is central to our health. Consider that in light of Webster's definition of medicine: "The science and art dealing with the maintenance of health and the prevention, alleviation, or cure of disease." Food acts as medicine--to maintain, prevent, and treat disease. In other words, nutrients give our bodies instructions about how to function. In this sense, food can be seen as a source of "information" for the body. What are some of the issues with our diet? Our Standard American Diet (SAD) is not contributing to our health. Learn about some of the issues. Our supermarkets are full of convenient packaged foods that appeal to our taste buds, but compromise our nutrition. Because most of these foods' natural nutrients are removed in the refining process, we need to get them elsewhere. Our Standard American Diet relies heavily on processed foods that include artificial color, additives, flavorings, and chemically-altered fats and sweeteners. These additives and chemically altered substances may be giving our bodies the wrong signals, instead of the information they need to function properly. Our food is not the same as it was 20 years ago. Nutrients in the soil have been depleted, so food grown in that soil has fewer nutrients. Chemicals are increasingly used in raising both plants and animals, particularly on huge industrial farms that specialize in a few products. Ironically, while 17,000 new products are introduced each year, two-thirds of our calories come from just four foods: corn, soy, wheat, and rice. We tend to eat for convenience and speed, not health and pleasure. Our fast foods also remove us from the pleasures of creating and savoring a wonderful meal, and our fast pace often prevents us from connecting over a good, slow meal. What is the connection between food and disease? As a society we are facing significant health problems. The United States ranks ninth in life expectancy among nations in the developed world. We have a workforce plagued with absenteeism and reduced productivity because of chronic health problems, including depression. 78 percent of healthcare expenditures are for the treatment of chronic disease. To prevent the onset of these diseases, we need to know how multiple nutrients in a diet interact and affect the human body's functions, according to the Nutrition Society, Europe's largest nutritional organization. Functional Medicine is a dynamic approach to assessing, preventing, and treating complex and chronic diseases using nutrition. 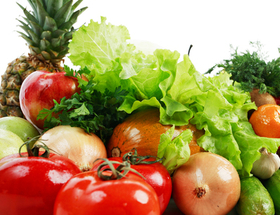 This area of healthcare also conducts research on the role that nutrition plays in health. One component of Functional Medicine focuses on how diet impacts health and function. When Functional Medicine practitioners examine the role of nutrition in chronic disease, they look at multiple systems, such as the digestive system, the immune system, and the detoxification system, because of the interconnections between those systems. For instance, because 80% of the immune system is contained in the gastrointestinal system, a person's issues with immunity could be related to faulty digestion. Functional Medicine maintains that chronic disease is almost always preceded by a period of declining health in one or more of the body's systems. Thus, these practitioners seek to identify early the symptoms that indicate underlying dysfunction, possibly leading to disease. One of the ways Functional Medicine seeks to address declining health is to provide the foods and nutrients needed to restore function. This is a cost effective, non-invasive intervention that aims to stop the progression into disease. When taking a nutritional approach to health and disease, it is important to understand that one disease might have multiple causes, and one underlying dysfunction might cause multiple diseases. Cardiovascular disease may be among the clearest examples of this concept. Researchers have shown that the development of heart disease can be triggered by multiple factors. These factors include insulin resistance, elevated homocysteine, oxidative stress, elevated cholesterol, hypertension, heavy metal toxicity, stress, and inflammation. Each of these factors can be influenced by nutrition and each, in turn, impact our nutritional needs. This applies both to the prevention and treatment of these factors (Textbook of Functional Medicine). For example, a 2007 study shows the importance of optimal mineral balance and how a deficiency in mineral balance can contribute to the development of congestive heart failure (Cardiovascular & Hematological Agents in Medicinal Chemistry, 2007). At her first visit to a nutritionist, Lynn (53), just had one goal: "I need to get healthy!" Her cholesterol was elevated (including triglycerides), and she had taken Lipitor for five years. Her blood pressure had been elevated in the past. She had acid reflux and had been on Zantac for 15 years. Find out what happened. At her first visit to a nutritionist, Lynn (53), just had one goal: "I need to get healthy!" Her cholesterol was elevated (including triglycerides), and she had taken Lipitor for five years. Her blood pressure had been elevated in the past. She had acid reflux and had been on Zantac for 15 years. She slept poorly and experienced sleep apnea and extreme fatigue. She was taking hormone replacement therapy for hormonal headaches that had plagued her for years. She had experienced swollen, painful joints for many years, which had developed into osteoarthritis. Her bowels tended toward constipation, and she craved bread and sweets. The nutritionist noted her systemic inflammation, water retention, swelling, and constipation and suspected a food sensitivity. She suggested that Lynn eliminate corn, dairy, and wheat from her diet; keep track of her body's reaction to the changes; and then gradually introduce these foods one at a time. When Lynn returned four weeks later, she had determined through the elimination diet that she had a corn sensitivity. Since eliminating corn, she reported feeling much better, and the pain in her back and legs had diminished. Her constipation was relieved and much of the swelling and fluid retention also improved. Lynn reported that "I lost only five pounds, but I feel smaller." Returning at eight weeks, Lynn reported that the, "changes have been easy." She had lost 20 pounds and her energy was much improved: "I wake up ready for the day." She was walking a mile and a half each day and her cravings for sugar had also diminished, much to her delight. She reported feeling more in control of her eating. At 12 weeks, Lynn said the changes were becoming habit. "I feel so much better." Her energy continued to improve; she had lost a total of 27 pounds, and she experienced less pain. Chadwick, R. (2004). Nutrigenomics, individualism and public health. Proceedings of the Nutrition Society, 63(1), 161-6. Jones, D.S. (editor) (2006). Textbook of Functional Medicine. Gig Harbor, Washington: Institute for Functional Medicine. Newman, K.P. et al. (2007). The importance of lost minerals in heart failure. Cardiovascular & Hematological Agents in Medicinal Chemistry, 5(4), 295-299. Pollan, M. (2008). In Defense of Food. New York: Penguin Press. Taubes, G. (2007). Do We Really Know What Makes Us Healthy? New York Times Magazine, Sept. 16., 52. Taubes, G. (2007). Good Calories, Bad Calories. New York: Knopf.